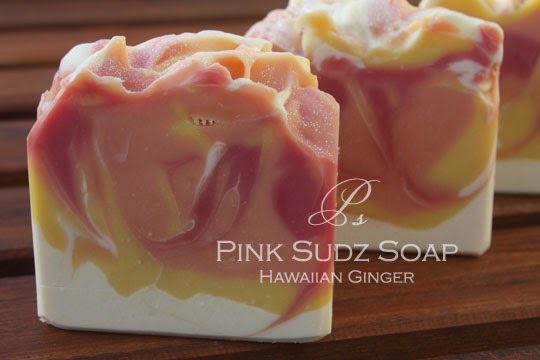 New Post - Hawaiian Ginger! Check out my new home!!! 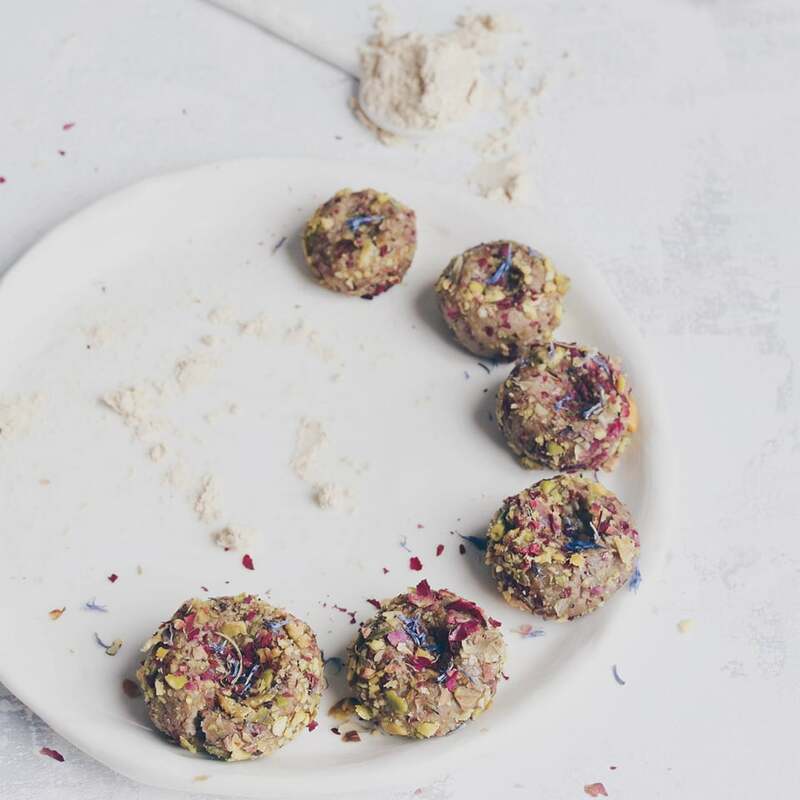 I have opened up my new Website and Blog Home. Please stop by and visit. 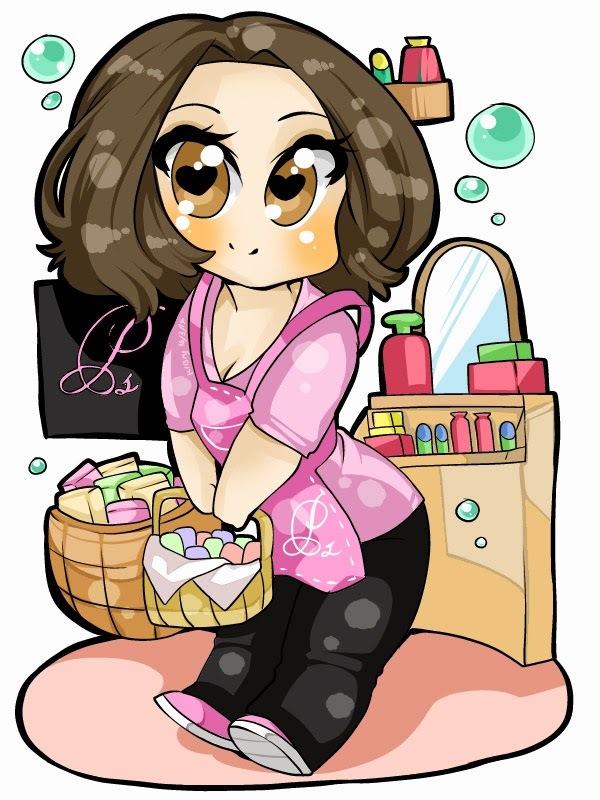 I will be slowly moving my posts to this new home and hope that you are able to still follow my Soapy Stories! 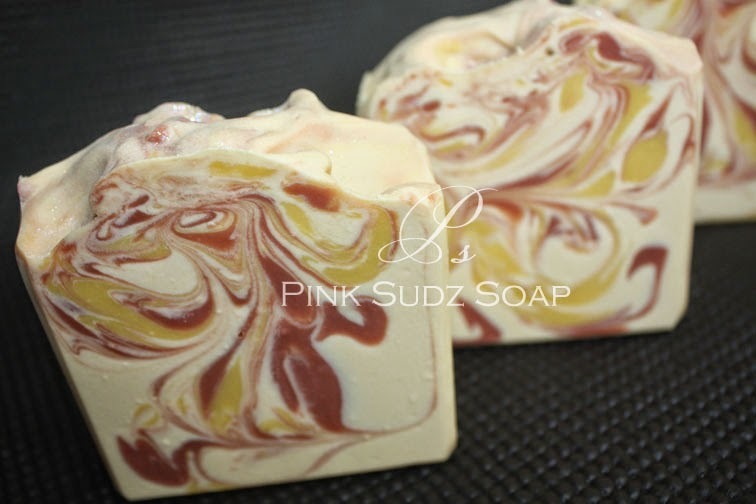 I usually don't plan ahead with the possibilities of color discoloration on my soaps. 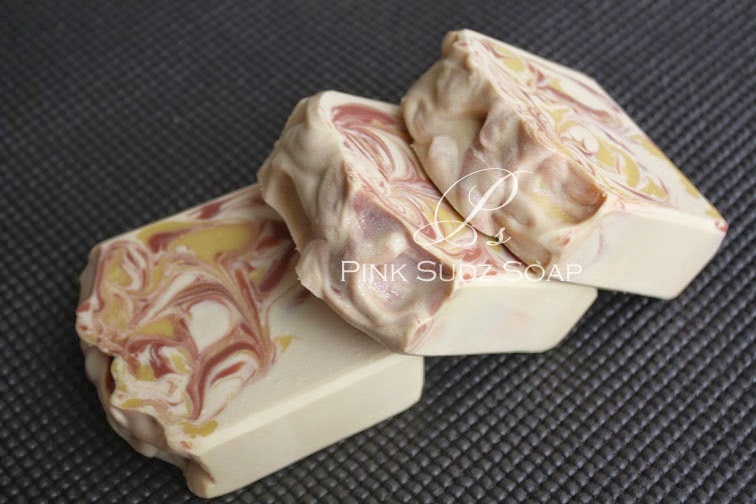 There are soapers that use it to their advantage and usually plan on the fragrance discoloration to work with their design. I just go with it. I find it interesting to see how a fragrance can play with your pre-selected colors. Having said that, I do tend to stay away from most of the sweet and sugary fragrances. 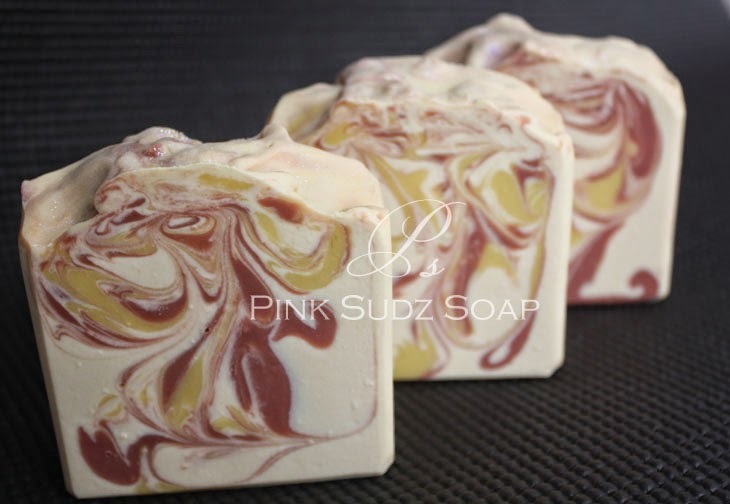 I think I have only soaped with Vanilla Fragrance oil once, and I purposely made my soap bars brown. 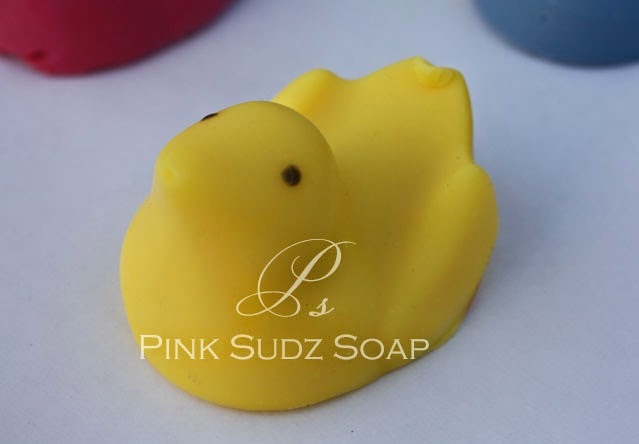 I did once have a soap batch that turned out very nice out of the mold and as soon as it started to cure it turn a dirty looking beige. It was pretty weird and kind of fascinating at the same time. So I was wondering if I should do any type of planning when I decided to soap with my next fragrance: Dreamcatcher (from Rustic Escentuals). Its a nice light, feminine fragrance. The vendor does warn about slight discoloration so I thought to add a little more Titanium Dioxide to see if it will lighten it up, and decided to add some yellow, and red mica. I was surprised to see that it discolored, but not dark, instead yellow. At one point my yellow and white were just about the same color but eventually the yellow started to pop a little more. I like how the swirl turn out. Nice and flowing, and sort of flirty! I am still working on finishing up my template for my new blog. I am stalling a bit since I am really pretty nervous about transferring all my post to the new site. Just thinking about it makes me all jittery! 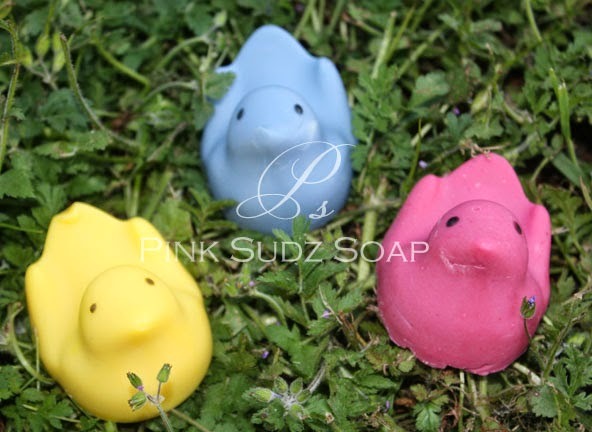 I recently came across a very cute post of Melt and Pour Soap Peeps from Soap Deli News Blog. 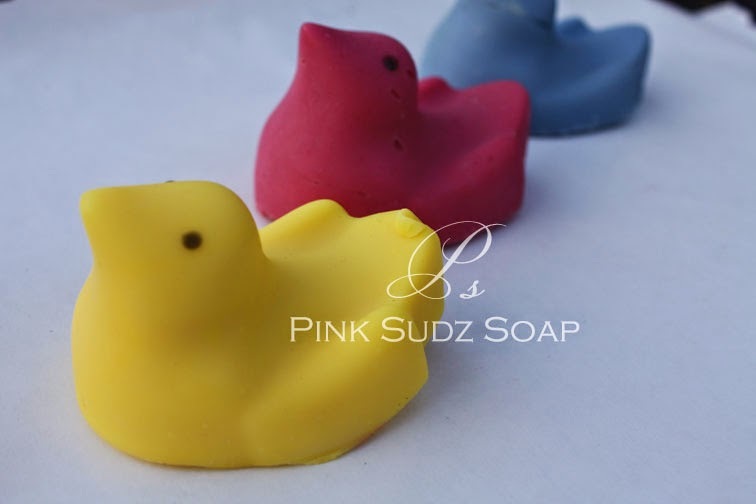 I thought it was the cutest soaps and I read that she found the mold at a local Target Store. Well I just could not wait for my lunch hour so that I can escape and go purchase it. Unfortunately work got a little crazy and I was not able to go out for lunch. I was desperate! so I called in a "life line"...my husband! I texted him a picture of the mold and sent him off to look for it during his lunch hour. 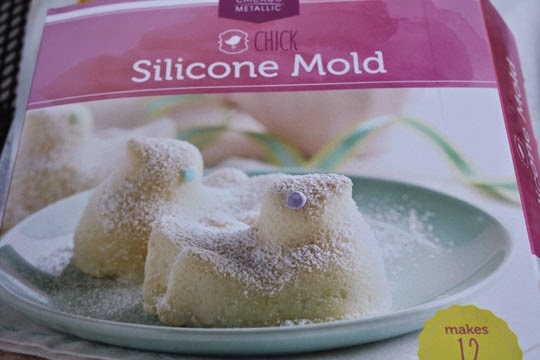 Isn't it the cutest mold! 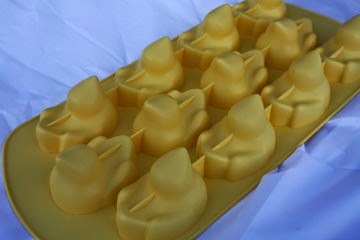 Here are my little peeps! Once again I got a little carried away with my pink and blue. They turned out a little darker than I wanted but my yellow is perfect!!! I also have some exciting news to share. I will be moving my blog to a new home very soon. I decided to obtain my domain name (website name) and I am in the process of building my blog template. She has encouraged me to write a blog about it, and I am really considering it. It sure has been interesting for sure!! !